Faced with outbreaks of influenza and other vaccine-preventable diseases, parents, educators, healthcare providers and policymakers around the world often want to know how to persuade people to get their vaccinations. But a comprehensive review of the scientific findings from research on vaccination behavior shows that the most effective interventions focus directly on shaping patients’ and parents’ behavior instead of trying to change their minds. The findings, published in Psychological Science in the Public Interest, a journal of the Association for Psychological Science, suggest that although vaccination campaigns commonly focus on changing people’s perceptions and attitudes about vaccines, there is little evidence that these campaigns are effective. To understand the factors that underlie vaccination-related behavior, Brewer and Carnegie Mellon University’s Gretchen B. Chapman, the University of Minnesota’s Alexander J. Rothman, the University of Sydney’s Julie Leask and Allison Kempe from the University of Colorado Anschutz Medical Campus examined the latest findings from a variety of fields, including psychological science, public health, medicine, nursing, sociology and behavioral economics. The report is accompanied by a commentary by Victor J. Dzau, president of the United States National Academy of Medicine. One of the challenges of vaccination is that uptake varies across vaccines. Childhood vaccination generally has strong public support, with the majority of infants in most countries receiving recommended vaccines. In contrast, many adults forego vaccines such as the seasonal flu shot. The best available data indicate that the percentage of people who actively refuse all vaccines is incredibly small and that neither vaccine refusal nor delay is on the rise. These findings contradict the media-fueled narrative that an increasing number of people reject immunizations. “Our main message to policy makers and providers is that, surprisingly, the strongest evidence supports impacting vaccination directly by leveraging, but not trying to change, what people think and feel,” Chapman said. In some cases, people encounter false or misleading information about vaccines. Research shows that the best way to correct this misinformation is to reiterate the facts clearly and in a way that fits with people’s intuitive beliefs. These conclusions are supported by multiple sources of evidence, but the researchers note that much of the available research on vaccination behavior is limited in quality or quantity. 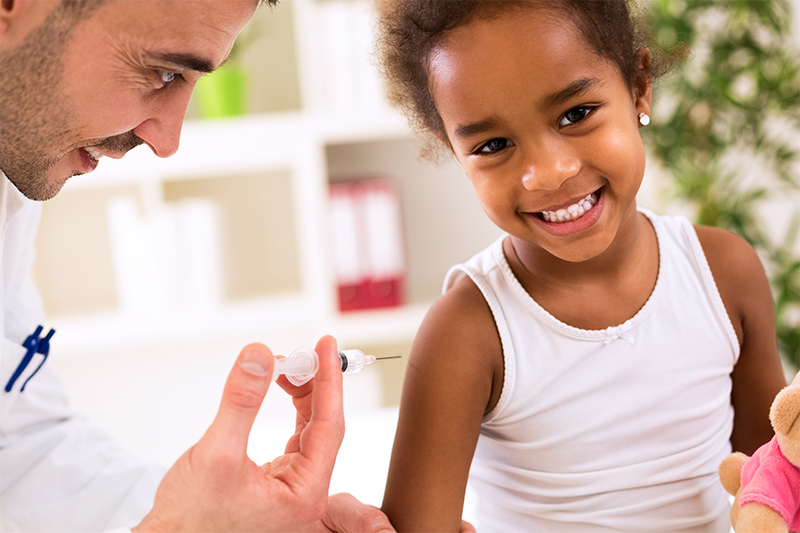 Studies investigating vaccination attitudes and behavior over time are rare and few studies examine the specific mechanisms or components that make for effective interventions. Despite these limitations, cross-continent studies are increasingly converging on some common findings. In general, these studies show that vaccine acceptance tends to be high, vaccine hesitancy exists around the world, and the factors that motivate vaccination are similar across countries. Vaccination is a public health issue, with psychological science providing a lens for understanding the factors that motivate vaccination. The interventions that stand to have the greatest impact are those based on psychological theory and behavioral evidence. Anna Mikulak at the Association for Psychological Science prepared the press materials.